Which Battle Royale should you be playing? Our Fortnite vs PUBG page contains a complete comparison of both games and will help you decide which Battle Royale is right for you. It’s safe to say that so far 2018’s been all about the Battle Royale. There’s been an influx of Battle Royale games in recent months, with many of them trying to add to a formula that brings in players by the masses. One thing they’re chasing is even just a slice of the success that both Fortnite and PUBG enjoy. PUBG (PlayerUnknown’s Battlegrounds) completely took over Twitch in 2017, which led to incredible sales figures and a game that, putting it mildly - blew up. What’s even more remarkable is Fortnite’s turnaround from an ailing PVE sandbox to one of the biggest games in the world. Epic Games jumped on the Battle Royale bandwagon and silenced the skeptics with massive growth thanks to the game’s fun fusion of building and battling. Both Fortnite and PUBG are easily the biggest and best Battle Royale games out there, which can make it difficult to decide which one you should go ahead and put some time into. To help you out, we’ve put together a guide that’ll take you through both their strengths, weaknesses and major differences. By the end, we hope you get a better idea of which Battle Royale game you’d like to play! For everything Fortnite, make sure you head on over to our Fortnite: Battle Royale guide! For a glimpse at everything we've covered PUBG wise, check out our enormous PUBG guide! Click one of these links and it’ll take you straight to that particular section. Currently Fortnite’s only home to one map, while PUBG has two, with one more on the way very soon. Fortnite’s map is much smaller than both of PUBG’s. This makes for a more frenetic pace, with action right from the get-go. As it’s smaller, there’s less travel time between locations. It’s hillier, with more opportunities for sniping opponents from afar. There’s a decent mixture of areas. You’ve got woods, warehouses, skyscrapers, marshes and more to do battle in. Unlike PUBG’s maps, Fortnite’s locations each have their own distinct theme. 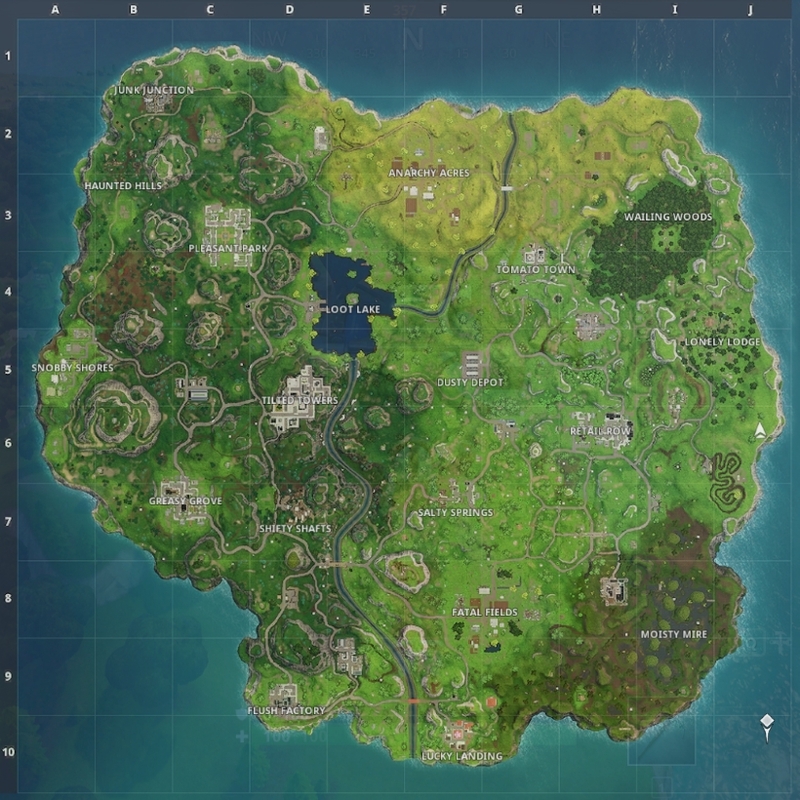 You’ve got the East Asian Lucky Landing, the spooky Wailing Woods and high society area of Snobby Shores for example. PUBG’s home to two maps at the moment: Erangel and Miramar. There’s another one on the way called “Savage”. Erangel is largely woodland based, while Miramar has a desert theme. Savage is based on a tropical island. Erangel and Miramar are much larger than Fortnite’s map, which means a slower pace in general. Although dropping in certain hotspots will increase your odds of a huge gunfight in the opening moments of the game. Due to the size of both Erangel and Miramar, you’ll have a better chance of surviving early on and getting into the game gradually. There’s a variety of locales, with a great deal of hills, mountain peaks, rivers - you name it. The upcoming “Savage” map is easily the smallest PUBG map to date and will provide a much faster pace of game for those who crave action. PUBG Mobile’s currently available on Android and iOS devices worldwide. All you’ll have to do is search for it in your respective Play or Apple Stores and get it downloaded to begin playing. Fortnite’s not quite reached PUBG’s scale just yet. Fortnite Mobile is only available on iOS devices at the moment with Android sign ups open and a release date somewhere on the horizon. In terms of gameplay experiences, both offer brilliant performance and you’ll find every piece of content from the main versions of the game too. Same modes, maps, weapons and all. When it comes to how many players are on PUBG and Fortnite, you certainly won’t struggle to find a game that’s for sure. It’s pretty tricky to find pin-point accurate stats for both games, but PUBG’s concurrent player count is easily at the top of Steam’s charts day in, day out. On all platforms, Fortnite takes the crown though. It’s reportedly got over 45 million players and counting, so you’ve got one enormous community to get stuck into if you decide to pick up the game. If anything, player count shouldn’t matter for the time being. Either way you’ll find matches and other players to party up with, without any hassle whatsoever. PUBG was masterminded by Brendan Greene who’d previously created the ARMA 2 mod DayZ: Battle Royale in 2013 which shares the same fundamental gameplay mechanics as PUBG today. Long story short, he joined up with Bluehole and released the early access version of his brand new game PlayerUnknown’s Battlegrounds in March 2017. PUBG left early access in December 2017 with its 1.0 update and is largely considered to be the defining game of the Battle Royale genre. 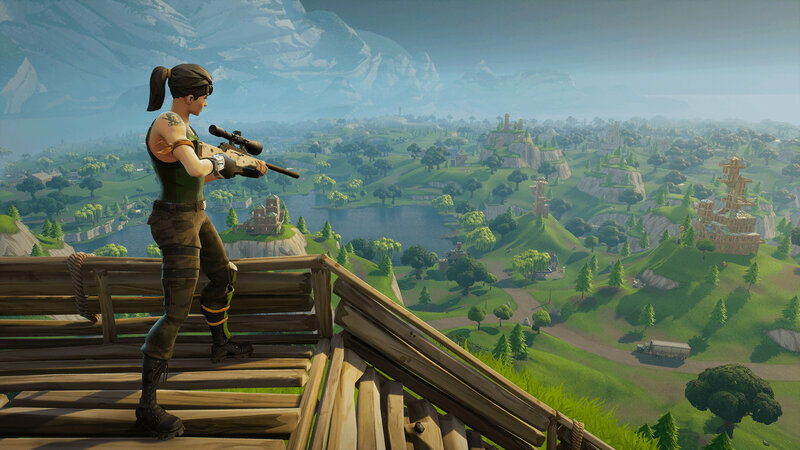 Fortnite: Battle Royale came to the scene a little later, with an early access release in September 2017. Essentially, Epic Games saw PUBG’s enormous growth and the potential for a new Battle Royale style mode that could revive the game’s dwindling numbers. Sure enough, introducing the Battle Royale mode worked and it’s now one of the biggest free-to-play games in the world. There’s a clear winner here and it’s Fortnite. 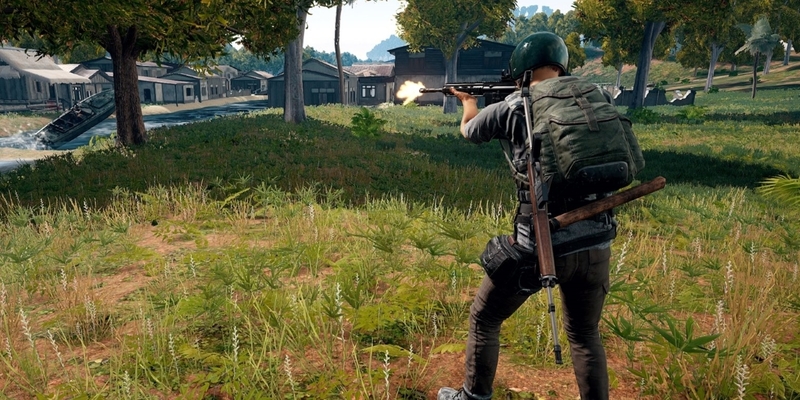 PUBG’s far from well optimised and it’s significantly more taxing on your system than Fortnite. You’ll need a fairly powerful rig to run the game at 60 FPS, or at least tone down a number of settings to get there. Even then, you’ll experience the occasional frame drop, stutter or general performance issue that comes with playing a game that still needs some tweaking. Fortnite’s cartoony art style means that it can run on the vast majority of PCs, so those on a budget system shouldn’t need to tweak many settings at all. Unless you’re running on integrated graphics, this game will run a treat. It’s better optimised too, which makes for a much smoother gameplay experience in general. In terms of fundamentals, PUBG and Fortnite: Battle Royale are effectively the same. You’ll parachute onto a map, loot buildings, escape the blue circle and attempt to outlast 99 other players. The major difference between the two are their takes on the Battle Royale genre. 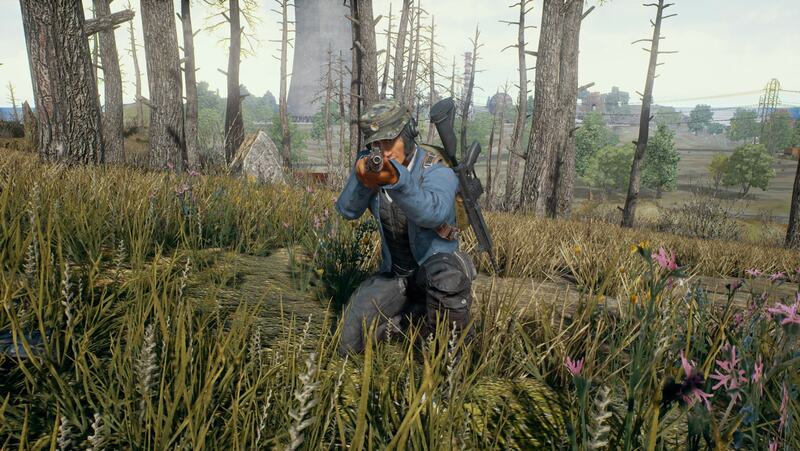 PUBG focuses on realism, with weapon attachments, punishing recoil, bullet drop and a greater focus on inventory management. Fortnite’s a little more accessible in this regard, with a greater emphasis on frantic, fun combat over realism. The biggest difference is building. You can harvest materials you discover in the game world to create forts and defensive structures that’ll help you survive encounters or gain the advantage. PUBG’s got vehicles, while Fortnite doesn’t. If you’re into cruising around maps with allies in the backseat, then PUBG’s pipped Fortnite in this regard. Finally, both offer a decent variety of game modes. PUBG’s got weekly events and custom matches, while Fortnite’s also got Limited-Time Game Modes that last for around a week. Unfortunately it's impossible to give a definitive answer to a question that's highly subjective. In all honesty, it's dependent on what sort of Battle Royale experience you're looking for. To help you make an informed choice, or at least to make life a little easier, we've listed reasons to play each game just below. Greater intensity - more serious. Tight shooting mechanics. You've really got to consider every shot. A greater variety of maps, both big and - soon to be - small. Games have a slightly slower pace in general which gives almost every player a chance to gear up and get into each match they enter. A choice between third and first person modes. Weapon attachments add a nice amount of depth to the game's arsenal of weaponry. Harvesting materials and building fortresses adds a complex layer of strategy to matches. It's more accessible with a focus on fun over realism. Near constant updates and improvements. Zanier weapons, grenades and items. It's free to try out.